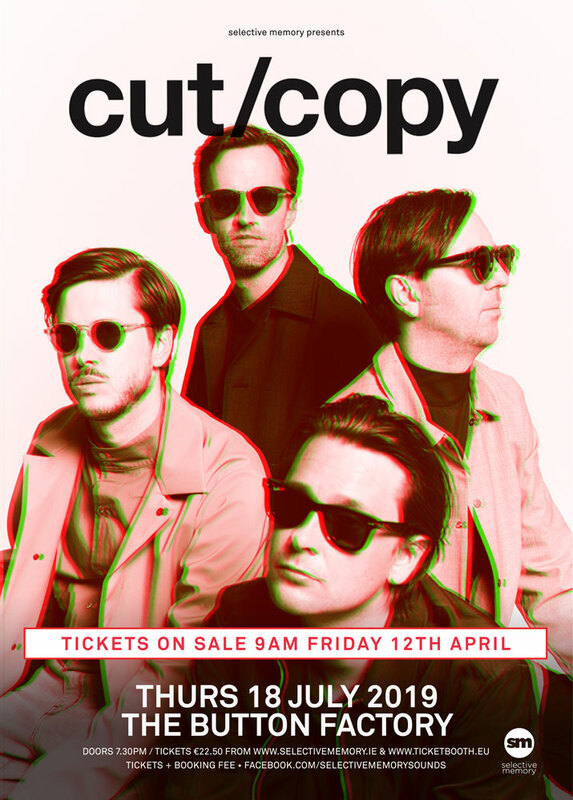 Australian electro legends Cut Copy have announced their first Irish show in five years at Button Factory on 18 July 2019. The GRAMMY® nominated, ARIA award-winning musical act are set to return to Dublin this July for a highly anticipated show, having sold out over 1,000 headline shows, spanning several continents over their nearly 15 year career. The band’s latest and fifth album, Haiku From Zero is arguably the most sonically diverse, perfectly produced, and all-round timeliest record of their career. Tickets €22.50 plus booking fee (additional charges may apply) go on sale this Friday 12 April at 9am from Selective Memory (http://selectivememory.ie) and Ticketbooth (www.ticketbooth.eu). During their career, it seems as if culture is finally catching up with Cut Copy. Shaking off some of the Balearic and acid house leanings of 2013’s Free Your Mind, their latest album Haiku From Zero leans in favor Afro beat textures, dubby rhythm sections, and synth sounds that would not be out of place on a long-lost disco record. Despite being written and recorded at various studios around the world (Melbourne, Copenhagen, Washington DC, New York, Atlanta), the nine tracks on Haiku From Zero present a kind of united sonic front, due in no small part to the guiding ear of producer Ben Allen. Known for his work with the likes of Deerhunter, Animal Collective, and Neon Indian, Allen helped shape the songs from minimal home recordings into full-band affairs, going as far as constructing a makeshift “DubShack” where the band could play live as a unit. When Cut Copy released their first proper album, Bright Like Neon Love, back in 2004, the Australian band entered a musical cosmos that often had little idea exactly what to make of them. 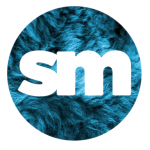 Marrying the aesthetics of electro-pop music with the fleshed-out sensibilities of an indie rock band, the group was often considered neither fish nor fowl, which is also what made them so special. Initially the bedroom recording project of Dan Whitford, Cut Copy evolved into a full-fledged band with guitarist Tim Hoey, drummer Mitchell Scott, and bass player Ben Browning. The quartet’s studio albums include In Ghost Colours, which Pitchfork named as one of the best albums of 2008 and among the top albums of the 2000s, and 2011’s Zonoscope, which won two ARIA Awards and was nominated for a GRAMMY®. In the space between albums Cut Copy been far from idle over the last few years. In 2014 they released Oceans Apart, a compilation of underground dance music happening in Melbourne, which was followed in 2016 by January Tape, a cassette-only release of ambient music. More recently, in 2018 they released the Haiku From Zero Remixes LP along with an outtake track from the Haiku From Zero recording sessions “Ocean Blue”.